Food Editor's note: This kugel is very easy to make and perfect for a Yom Kippur break the fast, a Sunday brunch, or any dairy meal. 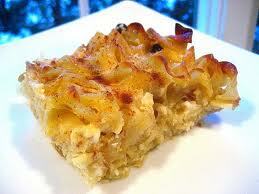 The body of the kugel is rich but not too sweet; the top is sweet and golden with a touch of crunch to it. It tastes best when just baked, but may be made in advance and reheated. It also freezes well. Leftover kugel, reheated in the microwave, is one of my favorite breakfasts -- cheesy, sweet, fast, and very satisfying! Preheat oven to 350 degrees. Cook noodles as directed and drain. Mix cottage cheese, sour cream, butter or margarine, and sugar to taste with the noodles. Pour into a greased 9 x 13 Pyrex dish. Beat together the eggs, 1/4 cup sugar, milk, and vanilla. Pour over mixture in the Pyrex dish. Sprinkle heavily with the cinnamon and sugar mixture. Spread the top with the orange marmalade. Bake for at least one hour or until set and browned. 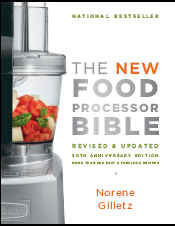 Vivienne Kalman is the Food Editor's mother. This is one of those treasured recipes passed on from mother to daughter! It is always a hit and we are happy to share it with you.